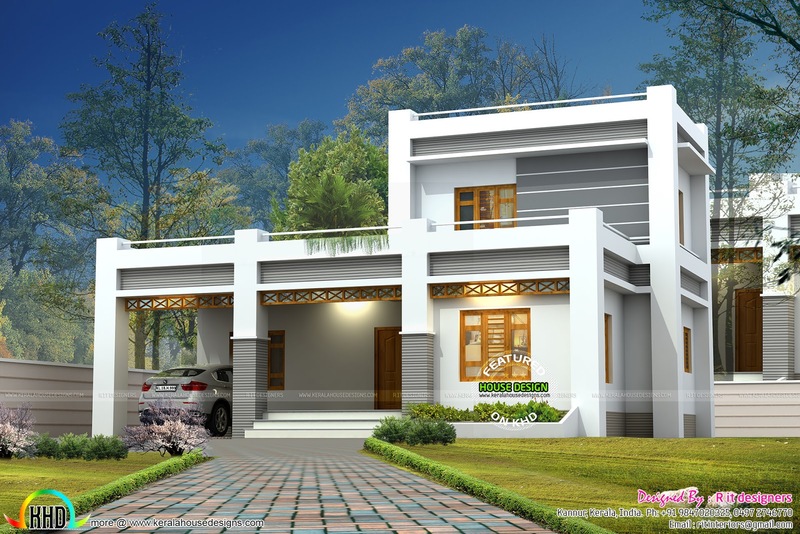 1858 square feet (173 Square Meter) (206 Square Yards) 3 bedroom flat roof model house exterior. Design provided by R it designers, Kannur, Kerala. Ground floor : 1399.32 Sq.Ft. First floor : 298.59 Sq.Ft. Total area : 1858 Sq.Ft. 0 comments on "1858 square feet flat roof style house"